When we last saw Paul and Vince, they had saved the Colonel and were about to head for home in a special plane given to them by the General. But then, while in flight over the ocean, the sky suddenly blackens - the ocean begins to churn - and the plane goes spinning! A booming voice fills the cockpit: "Hear me, Warriors! Zang Zip, the War Dog, has enslaved the people of Earth. Only you can save us from his grip of evil!" Caught in a time warp, hurled thousands of years into the future, Paul and Vince know they have no choice but to meet this impossible challenge head-on. 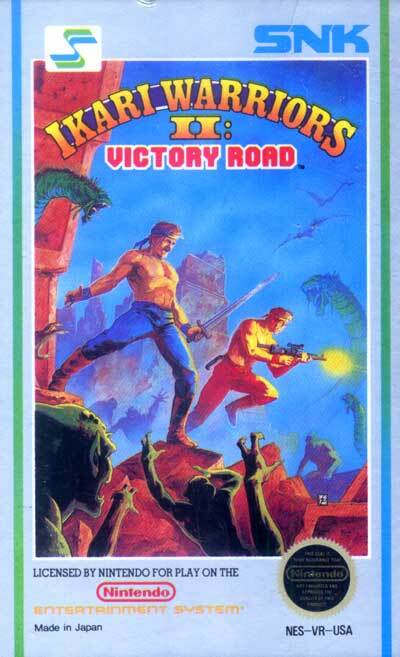 After all, they are professionals...they are the Ikari Warriors!